Are you delivering a presentation that informs or persuades? Do you sell your ideas, products, or services? Do you want to increase your visibility? Become a recognized leader in your industry? Sell your product or service? 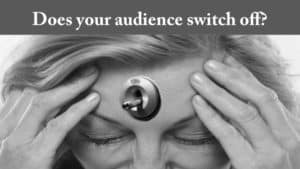 Motivate or inspire your audience? Deliver a toast or introduce a speaker at an important event? 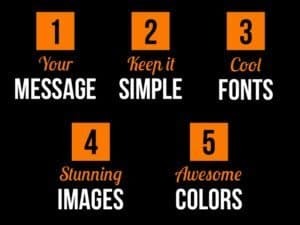 To succeed in any of these situations, you need to know how to deliver a powerful presentation. If you want your message to resonate and move audiences to action, you need to understand what goes into crafting a successful talk. Over the past decades the use of visual aids has gone from 35MM slides and overheads to easels, flip charts, whiteboards and then Powerpoint, Keynote, and Prezi. Because these visual aids can command attention, create interaction, provide WOWs instead of whys they require practice, talent, and applications of the techniques as television shows and movies. They are ‘story tellers’ that support story tellers. The typical presenter is, however, normally a trainer, educator, student, researcher, or speaker….not a graphic artist, designers, or movie director. As a result ‘death by PowerPoint’ is often too common when presented by over 130 million PowerPoint users worldwide. 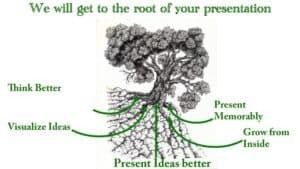 The root of the presentation should be ‘grounded’ in objectives viewed from the audience’s perspective. What’s in it for them? (WIIFM) How can they think better and visualize the presenters ideas? 7-WIIFM What is the key point, objective, or result from watching and listening to your presentation? If your slides are dull and boring, the presenter is viewed as dull and boring. Here’s five key points to delivering a great visual aid. Need more help? Join us.